Anton Page have been instructed to market an open plan office located on the first floor of a prominent, purpose built office development in Clerkenwell. The 1,525 sq. ft. space benefits from a meeting room, fitted kitchenette, timber flooring, good floor to ceiling height and excellent natural daylight. A uniformed commissionaire is also positioned within the impressive ground floor reception area. Clerkenwell House is located on the vibrant Clerkenwell Road, an area that is home to a variety of showroom, media and design occupiers. There are also a variety of bars, cafes and restaurants, as well as the office being positioned to benefit from Kings Cross, Chancery Lane and Farringdon Stations which will see the introduction of Crossrail in 2018. An assignment of the existing full repairing and insuring sub-lease available for a term until September 2019 at a rent of £94,680 per annum which equates to £62.09 per sq. ft. 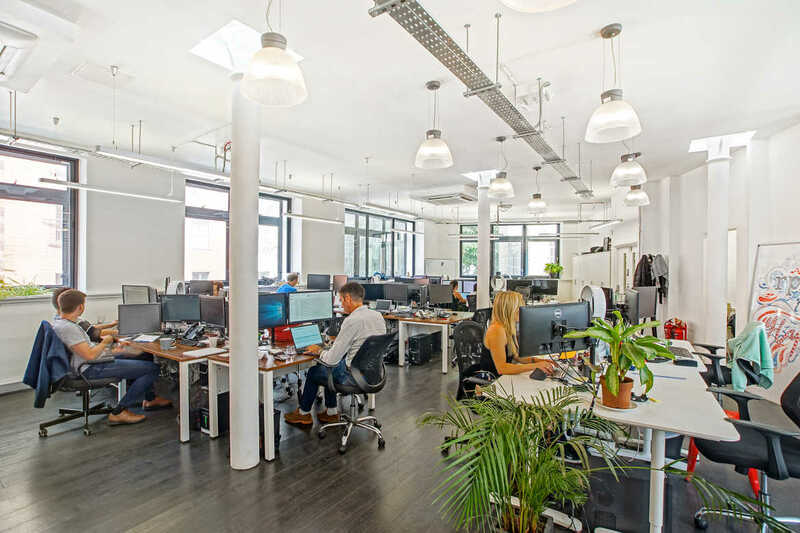 The office provides an ideal opportunity for a tech, media or creative occupier searching for a Clerkenwell or Farringdon office.